Since Joe Mercola has gone on a whey isolate-bashing drive (part of his materials promoting his whey protein concentrate line of products) I have been inundated with emails from my readers. This is understandable since I have always encouraged my readers to sign up for Mercola’s newsletter as he is an excellent source of information (about 95% of the time). In fact, the only real contentions I have with him are over his probiotic blend, where he continues to list Lactobacillus sporogenes on the label, even though no such species exists. And now with this whole “whey protein isolate is nasty and will damage your health” push. Again, most of what Mercola is saying is correct. However, he is failing to make a VERY important distinction between whey protein isolate that has been heat and/or acid extracted and whey protein isolate that has been cold, cross-flow membrane extracted. Unfortunately, this distinction is the crux of the whey isolate issue! And it applies to all processing and extraction of milk products. As we know from raw milk literature – and the advice given to every breastfeeding mum – heat denatures milk proteins. Clear and simple. If you heat breastmilk (whether from a human, cow, goat, yak, or camel) the proteins are denatured, the live enzymes are killed and the beneficial bacteria destroyed. Now, of course, there is no commercial whey protein supplement that can be sold which is made from unpasteurized milk – it is not legal in the U.S. or Canada – Mercola’s products included (see Mercola’s FAQ’s: “The raw milk is heated to 70˚C for a brief 15 seconds and then cooled down to 5˚C for the remaining processing.” – this is HTST pasteurization). So when we say that the proteins in certain whey products are denatured by heat, we are referring to high, prolonged heat – such as occurs during a heat-based extraction method. Likewise, when certain acids are used in the extraction process, they too can damage the milk proteins. 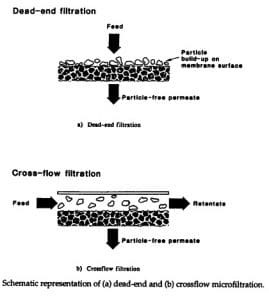 What Is Cross-Flow Membrane Extraction? Passing a liquid through a membrane (filter) to extract (or remove) ingredients typically involves the liquid being poured into the filter – like when you drain spaghetti in a colander. This is called dead-end filtration. This crucial distinction between heat-extracted whey and cold-extracted whey isolate becomes very apparent in a series of clinical studies conducted by researchers at McGill University in the 1980’s and then again in the 1990’s. They wanted to see which type of protein was best for stimulating immune function in mice. So they tested casein (a milk protein usually contained in whey concentrates), whey, soy, wheat, corn, egg white, fish, beef, spirulina and another algae called scenedesmus. Whey protein is also an alkaline food, so it’s ideal for counteracting the usually hyper-acidic body pH levels of people with gastrointestinal problems. Another key factor that Mercola and others are not taking into account when they use whey concentrate in a shake product is that (unless stipulated on the label) it may contain casein and lactose. Most people who are allergic to milk are actually allergic to a milk protein called casein – it is the most highly allergenic of all the milk proteins. Lactose-intolerance is another big problem many people have with dairy. This is another reason I use cold-extracted whey protein isolate in my products – isolate means that the whey has been isolated from the other milk proteins, like casein. It is also 99.8% lactose-free. So my advice in this case would be to either try a cold-extracted whey protein isolate, or, use organic, free-range, raw eggs. If using the eggs, then use 1 whole raw egg and 1 raw yolk, add them after you’ve blended all the other ingredients, so you just whip them on low speed for a few seconds. Alternatively, you could use just a brown rice protein – it is the most benign-tasting of all the veggie proteins. 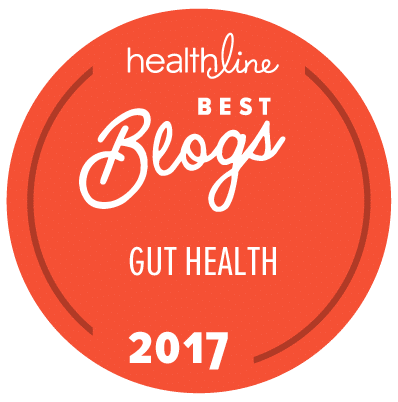 I also encourage you to take a look at these recipes for food-based, yet easily tolerated shakes: Use Common Foods To Heal IBD. Your other option, if you cannot tolerate whey protein isolate, is to use a vegan elemental shake. We have put together these Vegan Elemental Diet Kits specifically for that purpose. According to McKinley Health Center, isolates contain about 90 percent pure whey protein, which is higher than most concentrates. Whey protein isolates are lower in fat and lactose, so they may be a better choice for people who are lactose intolerant. Concentrates contain anywhere from 29 percent to 89 percent protein content. The lower the protein content, the higher the fat and lactose content will be in that particular whey. So if you need to be sure you’re getting a certain amount of protein per serving, you may be better off using a cold-extracted whey isolate, which guarantees the amount of protein per gram of whey. In a whey concentrate, it may list 17 grams of whey concentrate on the label, but perhaps only 30% of that is actual protein – you wouldn’t know unless you got a copy of the Certificate of Analysis from the raw materials supplier. Be sure and read the label carefully on any whey protein isolate product as many (if not most) are not cold, cross-flow membrane extracted. This is because the heat or acid-extracted whey isolate is much cheaper. The cross-flow membrane extracted whey protein isolate is very expensive and supply is often limited, so manufacturers often have to pay in advance for enough to be allocated from the raw materials supplier – which puts the price to the consumer up even more. However, it’s the only type of whey I will use in the products I formulate for people with digestive problems, as I think it is well worth the cost and I wouldn’t want to put anything that might be 50% toxic into my body – no matter how much cheaper it is! In addition, whey protein concentrate is not an ideal elemental protein source and therefore is not as well tolerated (hypo-allergenic) for people on an elemental diet – another reason I only use whey isolate in Absorb Plus. Also read the label carefully to be sure there are no added artificial colors, sweeteners or flavors. We need to stay in authority as the final health expert for our own body and not give this power away to anyone else – not to Dr. Mercola, your local MD, your homeopath, and not to me! Always do your own research, ask if someone has a vested interest in presenting information a certain way, or putting a certain slant on it? And remember that no matter how qualified, all experts are fallible. We can be given incorrect information by someone we trust, our researchers can present us with only 80% of the picture and sometimes we just plain make mistakes. I believe Dr. Mercola is sincere and I am very grateful for the work he is doing in disseminating natural health information to people and yes, I still encourage you to sign up for his newsletter – I just wish they offered it in a once-per-week format, rather than every day! I completely agree with you regarding Mercola’s apparent self-serving advice (though you are far more considerate and diplomatic than I). He definitely picks and chooses what evidence he considers worthy. He just recently dismissed the use of glucosamine/chondroitin for supporting joint care because of one study that just came out that found no significant difference over placebo. I’ve reviewed previous studies – and they have all been different in regards to type of joint issue, length of time, and parameter being evaluated (some have found a significant difference and some haven’t). Regardless, the reason he was dismissing it was because he has another joint formula that he purports is far better – though it has definitely not been tested in any placebo controlled randomized trial or with the same scientific vigor that glucosamine has. I don’t bregrudge a doctor making a name and brand – but he doesn’t pass the integrity test. Those who have received the time and objective assistance from Jini would easily be able to sense the difference. chrondroiton is 300 to 350 times too big to be absorbed in your tissues, sulfates are in ready supply in our blood stream and don’t use supplemental doses. hyurlonic acid is disolved in gut. glucosamine hydrochloride offers the highest concentration of glucosamine. i did my home work on line. Thats why most newer studies don’t show benefits of gucosamine chrondroiton supplements , those that sell supplements like shiffs triple flex , have ignorant scientists or just don’t care if you waste your money. laboratory experiments are different than human digestive systems. It’s funny Ashley, because everyone that I’ve talked to – who have been Mercola subscribers for many years – echoes what you’ve said here. BUT, back when his integrity was faultless (the original Joe Mercola we knew and loved), he was on the verge of bankruptcy. Now, with this new “commercial” approach, his subscriber list has tripled and he makes a LOT more money – i.e. he makes more in one day than I make in an entire month. No kidding. Given the difference in quality in what is popular with the mass American market versus what is popular with a more discerning group of people – I think it is a testimony to character to not be the mind-numbing block-buster. Mercola is another example of one who couldn’t handle the addictive lure of success and its ability to ruin one’s self-perspective and purpose. Unfortunately, Mercola’s advice is taken to heart by many well-meaning people, and sooner or later, more people will recognize how shoddy his claims are. One of the upsides of the free flow information on the internet is how quickly a bad review of one’s character, service, and claims can make the rounds – it can make and break people in a heart beat. Yes, and given time, greed typically self-destructs. Thank goodness the Internet has given back to the people the Freedom of Speech! I totally appreciate that you have clarified the many issues re: whey powders in general by substantiating the many and varying claims and disclaims concerning both quality and health. I was happy to see the itemized list of components as well you provided, particularly regarding the alpha-lactalbumin in its ability to enhance tryptophan, as many of us w/ belly issues also suffer from ensuing insomnia, depression, and anxiety. Because my tum is too tender to handle direct amino acid supplementation, I usually look for this protein in my foods and admit I checked AbsorbPlus’s list of ingred for it. The other components of quality whey you listed also fit nicely into the puzzle for counteracting dysbiosis and sluggish organs. I’d still like to know what those cows are eating though…GM’d grains or grass fed!? I usually shop for a whey powder that is both unsweetened and unflavored as the frills of food additives no longer interest me. I’m all about getting well. I’m glad to see that you now offer the unsweetened AbsorbPlus and can’t wait for your generous free sample to arrive and really hope it makes my belly happy…though it you had one that was both unsweetened and unflavored, I’d be happier still. Thanx, Jini, for all your hard work in coming up w/ quality products and thorough information backed by real un-biased presentation of facts. I can’t speak for others, but I need this reassurance that I’m making the right choices. Unfortunately we do not have grass-fed or organic whey in Absorb Plus. Obviously, I would prefer to, but the significant cost increase would put it out of reach for most people. Don’t forget, this is not a whey supplement that people use just 2 scoops per day. 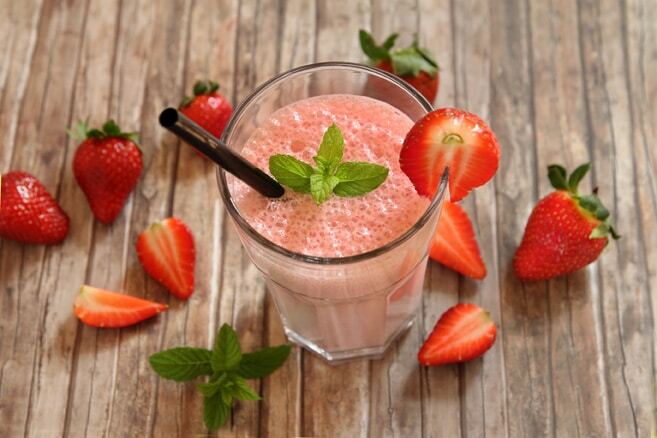 People use this for a complete elemental diet and they are consuming 6 – 9 shakes per day. We do use hormone-free (as confirmed by Certificate of Analysis), cold-extracted whey isolate though (C of A confirms 90% protein content). The C of A also confirms no contaminants, heavy metals, pathogens, etc. 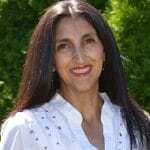 Hi Jini – this is great information, thank you for sharing it! I would definitely be interested in a grass-fed version of the whey protein isolate in your Absorb Plus. I’m sure there are others out there who feel the same way!! JOANNA – I would love to do a grass-fed whey isolate version, unfortunately, I have contacted countless manufacturers and NO ONE has a grass-fed whey isolate or an organic whey isolate! They have grass-fed or organic whey concentrate, but no isolate. It literally does not seem to exist. And as soon as you move to whey concentrate, it contains both casein and lactose – the top 2 allergens for people with a dairy allergy or intolerance. So… if anyone ever finds a supplier, please let me know!! In the meantime, things will have to stay as is. Jini, I have purchased the absorb plus for my daughter and I would like to take it too but I was wondering if the amino acids that are listed are the only ones in the product or if the Absorb plus also contains several other amino acids like the other protein drinks on the mark, and if absorb plus CONTAINS L-Arginine. I must keep my L-Arginine LOW and I would really like to know whether it is in your product or not. Thank you. DAWN there is indeed naturally-occurring L-Arginine in the whey isolate in Absorb Plus and we do not add any extra. The amount of naturally-occurring L-Arginine is 2.1 grams per 100 grams of whey, so that means in each serving of Absorb Plus there would be approximately 0.52 grams of L-Arginine. So very little. Hi there. Isagenix offers grass-fed (from cows in NewZealand not treated with hormones or antiboitics)undenatured whey protein concentrate. It’s all natural (no artificial flavors/colors), has digestive enzymes, including lactase to support those with lactose intolerance & NO casein. Seems like a perfect solution for almost everyone and under $3 for a meal replacement shake! CHERYL – which Isagenix product have you found that does not contain casein? Please provide a weblink. thanks! What about whey protein concentrate vs. whey protein isolate for hair? Recently, I’ve been experiencing an abnormal increase in hair shedding…huge amounts, and am tired of being told: well, you have so much, don’t worry! We haven’t seen a single reputable study or trial that provides any scientific evidence which would suggest that whey protein isolate increases hair loss. Better off going to your local GNC and purchasing Kaizen Naturals Natural Whey 100% New Zealand Whey protein isolate + concentrate. I’ve been using it for a long time now and it’s fantastic. In your book, you provide instructions on how to make your own elemental shake, I have several cans of an all natural whey protein concentrate, in which the brand states that its protein is nondenatured using Ultrafiltration, and casein free. It is sweetened with stevia. Would this be acceptable to use? Please see the final paragraph in the blog post above about Whey Isolate vs. Whey Concentrate as it contains the answer to your question. Jini recommends using isolates but if the concentrate you’re considering fulfills all of the criteria that Jini is talking about for a good whey protein then it may work just as well. My son has been allergy tested and has a mild sensitivity to whey, he also has just been diagnosed with chron’s–would he have a problem with the absorb plus being he has a mild allergy to the whey? Casein and lactose are the two most common dairy allergens. The cold extraction method we use to get our whey from its cow’s milk base removes all of the casein and over 99% of the lactose during the process so most people who have trouble with dairy can consume Absorb Plus without issue. If you would like to test his tolerance, I’d be happy to send a free sample to you if you are located within the continental US. If you’re outside the continental US, the sample would be free but we would have to charge a nominal shipping fee. If you’re interested, please e-mail me at service@listentoyourgut.com. April 20th /12 Jini mentioned she would like to know of a grass fed whey protein isolate that is undenatured.She propably by now knows of a few as I have found a few. The least expensive one is fromSchinoussa they use100% NewZealand whey isolate undenatured. “I am beyond thrilled to be able to FINALLY have this outstanding superfood nutrition for all of you to enjoy and assist you on your Healing Journey. Why do I say finally? Because I have searched for a little over TWO YEARS to find a whey protein that meets my incredibly high standards. As you may know, I don’t carry anything in LTYG Shoppe that I don’t personally use for myself and my family. So whilst I may be one of the pickiest people in the universe, at the end of the day, we all benefit! I’m happy to report that I do not bloat at all when I drink this whey protein – whereas I will bloat if I drink regular milk, or have a regular whey protein concentrate shake. What is whey protein isolate that has (undenatured) on it ? What does that mean ? They usual do not tell you HOW they produced the whey. They never mention anything about heat or cold, etc. And why do they add so few of the needed amino acids ? There are 22 that should be in it. Most only give 7 of them. Only one has all 22 amino acids in it and that is NeoLife. The only problem I have with that one is it is ALL from Soy – natural soy grown in other lands, but still soy. Npt good for men. I’m female so that part is not a problem but the idea it all 100% from soy does bother me even though it is the best tasting protein powder I’ve ever had. I’ve never had a chocolate whey protein powder that tastes good until I had NeoLife. You have to buy it through an agent, its’ not in any store and I don’t think its able to be ordered online from the company. IT’s expensive at $37 for 26.5 oz but it is the ONLY protein powder that has all 22 amino acids in it in existence. Jini was just referring to whey proteins that have not been denatured by heat when she mentioned the term “undenatured” in the post above. If a protein has been denatured by heat, live enzymes and beneficial bacteria can be destroyed. – Protein: Absorb Plus contains 50% more protein per serving than NeoLife. – Sugars and Sodium: Absorb Plus contains 50% less of these per serving than NeoLife. – Calories: Absorb Plus contains over double the amount of calories per serving (360 to 160) compared to NeoLife. This is especially important for people who have digestive conditions because it’s often difficult for them to gain or maintain weight. I am still confused, what does it matter if high heat is used to extract the whey if high heat was also used to pasteurize the milk in the first place? Thank you for the inquiry. All commercial whey protein supplements sold in the US and Canada must be made from pasteurized milk, which has to be heated briefly. However, then if it is heated for an extended period of time through a heat-based extraction method, the protein can become denatured. So, using cold extraction keeps it from being damaged through that process. Please let us know if you have any other questions. Do you guy offer just Whey Protein Isolate? Even though I haven’t tried Absorb Plus, but I know I don’t do well on GLutamine. So I am not sure. Do you guys have any recommendations on which cold pressed whey protein isolate (lactose and casein free)? Since all Whey has to be pasteurized even cold pressed, though for short moments doesn’t that denature the Whey protein and cause it to lose key nutrients? I know milk is pasteurized and isn’t good for humans and since Whey has to be pasteurized doesn’t that make it not good to eat? Hi, I read online about how whey protein is absorbed at a rate of 8-10 g an hour. They don’t make a distinction between isolate and concentrate. Some people say the fats and other substances in concentrate help absorb faster than isolate. Regarding retention time, I read that after 1.5 hours it will pass the digestive tract and can no longer be absorbed. So any protein not digested/absorbed after 1.5 hours is wasted. Has isolate vs whey absorption rates ever been studied? Also, how about retention time in the body between isolate and concentrate? Another question: I don’t like water so if I use homemade cashew milk, which would have fats, would that help or hinder the absorption of whey relative to using water? I see a lot of commercial brands of cashew milk with 0 g fat but since cashews have fats, I would assume if I made it myself, the milk will retain the fat. How do commercial brands get rid of the fats from the cashew milk? Hi Kelvin, great questions! However, for us to provide a good answer, you need to provide the references (even just a weblink) to your information sources for the whey data. The first few pages all say 8-10 g and 1.5 hours retention. I believe livestrong and other sites cite Dr. Kollias. However, I am unable to find the original scientific paper with the methods used to study this. I was hoping you would have more information regarding whether there are studies to back up those numbers and if there are any studies at all out there done comparing whey and isolate, and how much fats really help or inhibit the absorption of whey. Regarding the previous comment, I meant concentrate and isolate, not whey and isolate. Whey protein concentrate, WPC contains low levels of fat and low levels of carbohydrates. Whey protein isolate, WPIs are further processed to remove all the fat and lactose. WPI is usually at least 90% protein. People have long debated which one is better, whey protein concentrate or whey protein isolate. Whey protein isolate has a higher protein content and is lower in carbohydrates, lactose and fat. I have a large tub of Now Sports whey protein isolate. All it says about the extraction process is that it is “microfiltered”. Is this necessarily cold-extracted? Thank you for reaching out. That depends on your specific needs and condition. Jini’s Absorb Plus is developed for people with IBD so it’s important that the Whey protein is cold-extracted and not denatured by heat or chemicals. Please let me know if you have any additional questions. Thanks for the answer, but it really didn’t address my question. I am not asking about Absorb Plus. 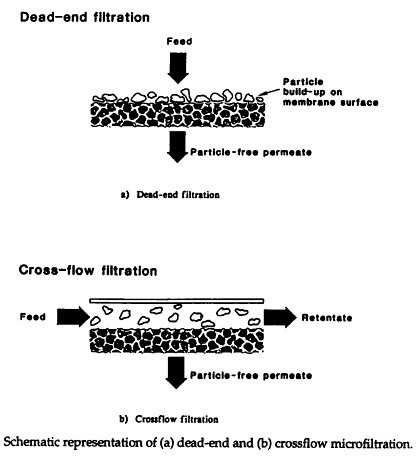 I’m asking if “Microfiltered” is the same as cross-flow membrane extracted/cold-extracted. But the temperature is another specification.